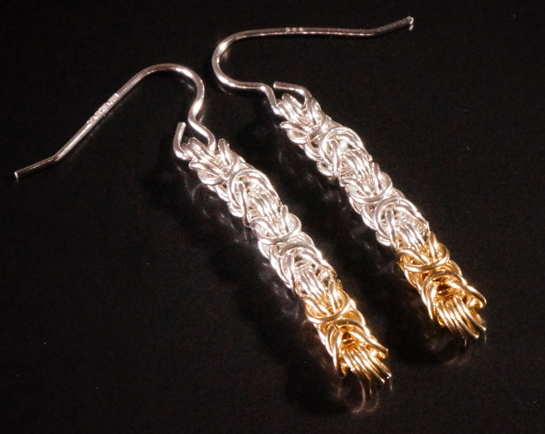 Sterling silver and 9 carat gold drop earrings - fully hallmarked. With sterling silver ear hooks or studs. From order date to delivery will take approximately 2 weeks.